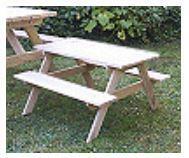 Build a convenient, sturdy picnic table for your backyard or cabin using 2x4 or 2x6 wood. 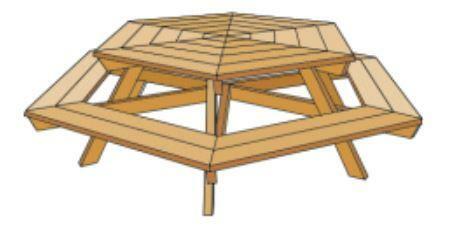 Planning, Safety Tips, Wood Selection and more to help you build this 6-sided Picnic Table. 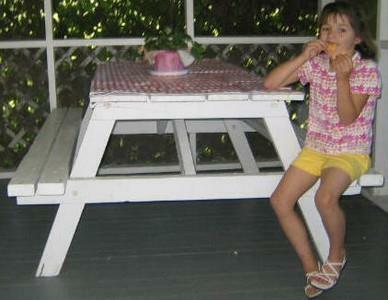 Build this 6 foot classic picnic table with basic hand tools. All it requires are a saw, a drill, a screwdriver, and adjustable wrench. Here are instructions & cutting list for each piece of timber needed to construct the kids BBQ picnic table. 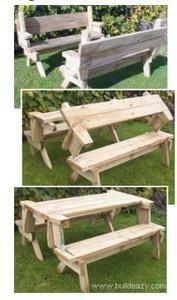 This folding picnic table and bench seat combination consists of two individual bench seats with backs that can be folded over and up to form a picnic table capable of seating four adults and two kids. It is very simple to revert the table back into two separate bench seats whenever this combination is preferred. 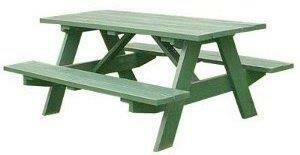 Enjoy the beautiful weather and have a picnic outside on your own picnic table. 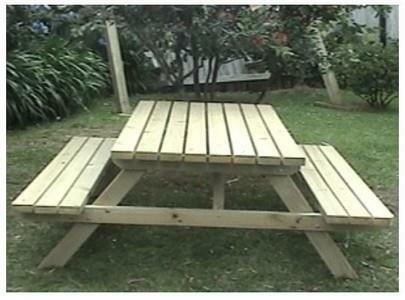 Plans to build your own sturdy picnic table that can seat 6 adults comfortably. 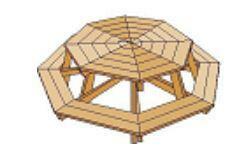 Instructions and plans to build an octagonal picnic table. It's the perfect size to have all your friends over for a BBQ. The table that's described here is a large one, 28 inches wide and 8 ft. long. There are no instructions for this one, as everything is pretty much self explanatory. Have fun! This is a larger than normal traditional picnic table, which can seat eight adults. The table is 80 in. long and the top is 32 in. wide, so there's plenty of room for a bit of food, too! 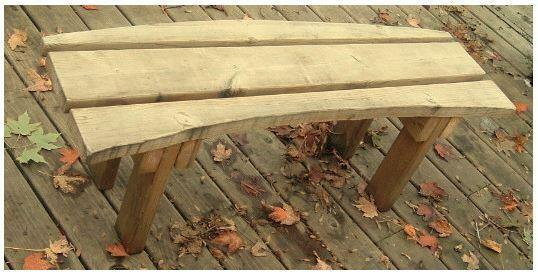 An excellent weekend project, this easy-to-build picnic table will soon become the focal point of your backyard. 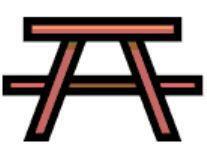 Relatively simple and straight forward you can build a table that will last for decades. 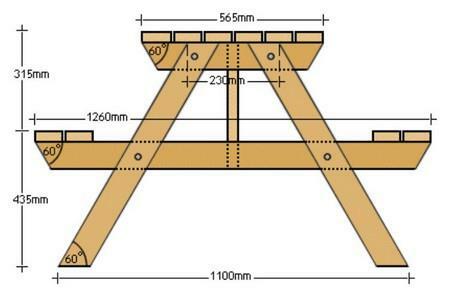 Plans & instructions for building a hexagon picnic table; great for a large family! 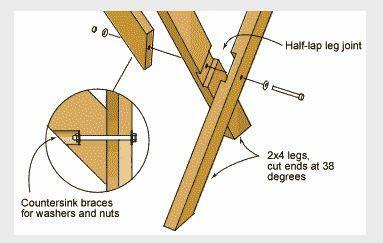 Using 2 x 4's and the diagrams show here, you can have a bench build is a short amount of time.